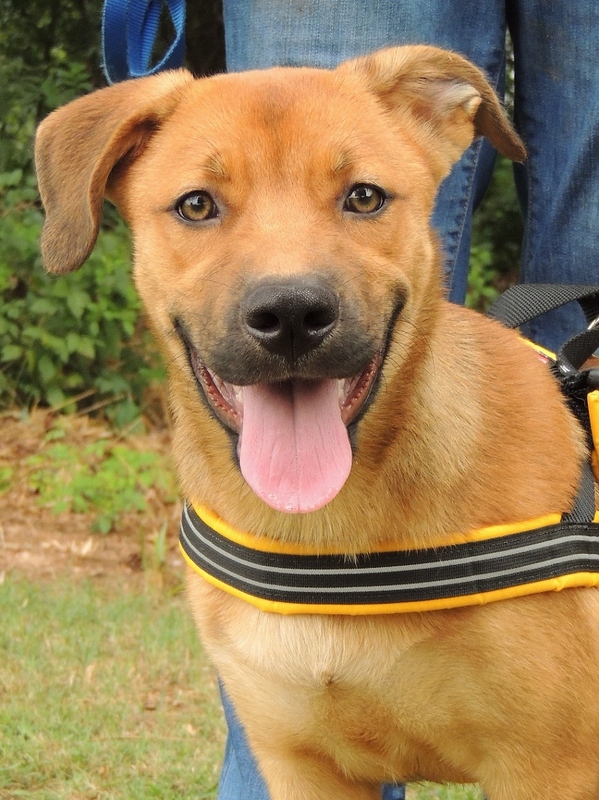 She’s a 6-month Shepherd mix learning machine, with a heart as massive as her mind — a handful of treats and your focused attention are all it takes to activate her vast training potential. Laurel already sits on command and kennels herself cooperatively; even with the limited time spent with her. She’d adore a big yard for romping, filled will energetic kids, dog friends and a baby pool, but she’s so smart and eager to please she’s destined to be an inside pet. (She’s 42 lbs. of alert affection, with more to come, but she’ll never outgrow her genial temperament.) Come meet possibilities personified, Laurel wants to teach you what “beloved family dog” means. If the nip in the morning air makes you long for fall color, look no further — our quintessential calico “Jazzy” boasts every striking hue, from glowing orange to glossy ebony, with alabaster interspersed. All downright downy-soft, with a humming 5-month girl-purr to underscore her loveliness. Jazzy knows that friendship’s a perennial pursuit; she luxuriates in your touch, loves to play and gives her own snuggly support to her roommate. (Your kids could stroke her all day long and she’d come back for more.) 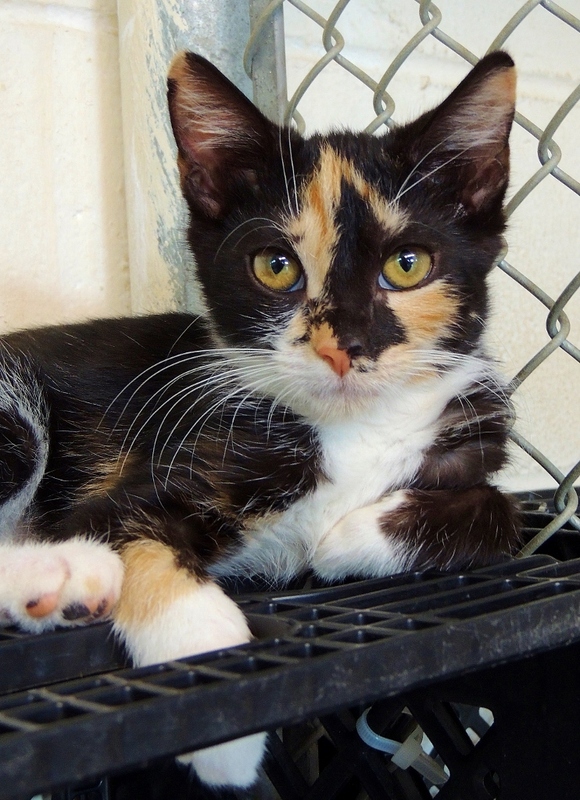 Come meet darling Jazzy, and make her the feline for every season of your heart.